Early shopper special. Buy the set you want to give (or to keep) now---this special price is only valid for two weeks. 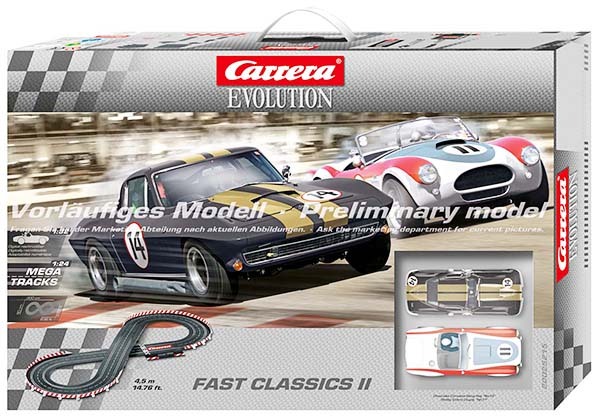 Carrera Fast Classics II set 1/32 scale analog. The incredibly quick Policar Lotus 72 in Lucky Strike deco will be here soon, so pre-order yours to be sure you get one of the first to arrive. 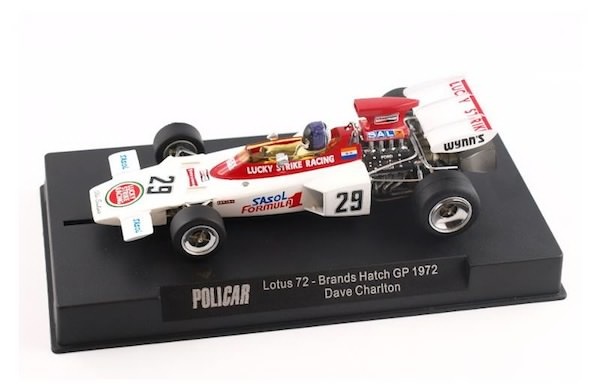 Policar PCAR02E Lotus 72 Lucky Strike 1972 Brands Hatch, Driver Dave Charlton---PRE-ORDER NOW! 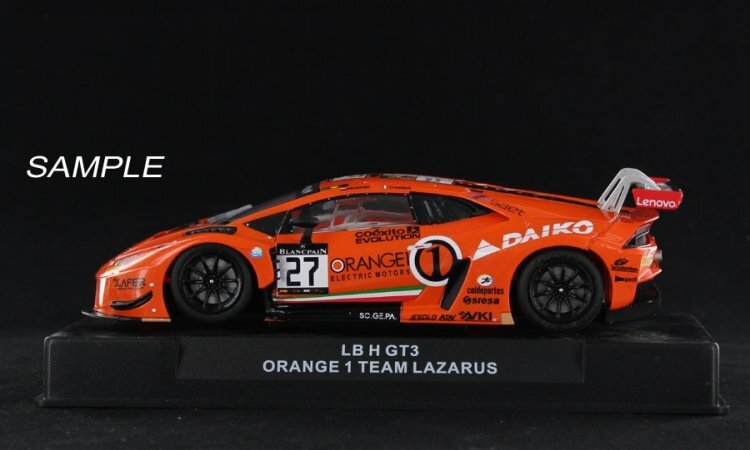 The third Sideways (by Racer) Lamborghini Huracan GT3 is on the way but production is limited, so pre-order yours now. MMK is producing three versions of the unusual 1981-2 Ferrari 512BB LM long nose cars that competed in the IMSA/GTX class at Le Mans, the Monza 1000km and the Mugello 1000 km. The chassis has a separate pod with an anglewinder Slot.it motor and drive train. They are only producing 50 worldwide, pre-order yours now. Cast resin body with Slot.it pod and drive trailn, hand-made in France. 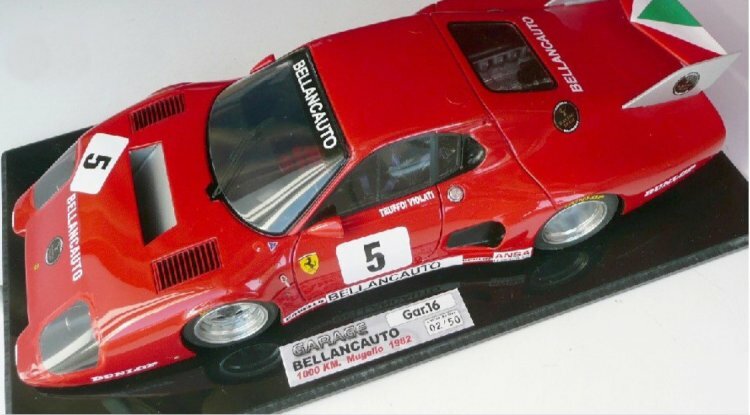 MMK82B Ferrari 512BB LM Long-Nose 1981 Number 15 Monza 1000 Km, 15th OA, First GT ---PRE-ORDER NOW! Cast-resin model hand-made in France with Slot.it motor pod and drive train. MMK82C Ferrari 512BB LM Long-Nose 1981 Le Mans Number 45, Dnf---PRE-ORDER NOW!